My wife and I have a subscription to a magazine entitled Spirituality & Health. Well, actually, we don’t have a subscription, because we let our subscription lapse. We just became less enamored with the content than we were at first. However, as you are probably aware, if you let your subscription to a magazine lapse, the magazine will continue to arrive as before. Why? Because the magazine doesn’t make its money from subscriptions, but from advertisement. And the more subscribers it has, the more it can charge for advertising. So they don’t want to remove you from the list. But this post is not about magazines, it is about a title that appeared on the front cover the current copy of Spirituality & Health that just arrived. The title that caught my eye was “Becoming Sacred.” Thinking that was an interesting concept, I read the article. It wasn’t about a person becoming sacred, it was written by an archeologist, who was describing several sacred places in the Greek Isles. I was disappointed. I still think that a person becoming sacred is worth discussing. The definition of sacred is: 1. set apart for the service or worship of deity 2. devoted exclusively to one service or use 3. worthy of veneration or reverence 4. of or relating to religion. 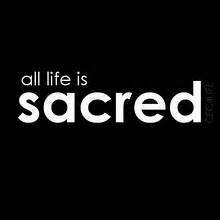 If, as they say, “Life is sacred,” then why can’t I, as a living being, become sacred? I particularly like numbers 2 and 3 in the definition as they apply to my own life. If I earn it, I should be respected for fulfilling my purpose here. Don’t worry, I don’t consider myself a deity or a religion, so numbers 1 and 4 don’t apply. But wait a minute. As I looked at the printed word “SACRED,” it occurred to me that if you move the C forward in the spelling, the word becomes “SCARED.” Isn’t that an interesting dichotomy? If we are scared to live our life fully, then maybe we cannot be sacred. It depends on where the C is located. When the C is moved forward, we can be presented with concepts and restrictions, such as carnage, catastrophe, chaos, commotion, conflict, or curse. However, when the C is put in the middle, we are presented with concepts and freedoms, such as courage, confidence, clarity, calm, cure, character, and chivalry. So where do you put the C? Are you sacred or scared. This entry was posted in Introspection and tagged advertisement, Greek Isles, magazines, sacred, scared, Spirituality & Health, subscriptions. Bookmark the permalink. You may be confusing sacred with “holier than thou.” I’m scared of those folks also. Thanks for the comment. Your presentation and proposal for contemplation is positively brilliant. The question you postulate for the reader is where do you choose to stand or to be, which incorporates the notion of choice or freedom. 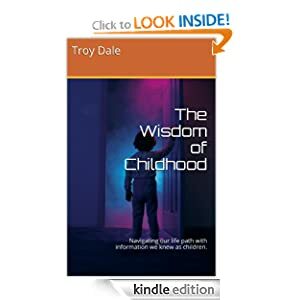 Unfortunately, the general population is all too ready to accept the pebbles in their shoes as their lot not realizing they do have choice or are, for a number of reasons, unwilling to step into the sunlight that awaits their emergence. What a thought-provoking post. While I would prefer to have my C be placed to spell sacred, I too often nudge it to scared. But, as you say, I have a choice, which should clarify my issues and choices as I move forward. Thank you. Glad I could help. Keep moving forward, it’s the only viable way. Thanks for the comment.